The U3A (University of the Third Age) Lower North Art group meets weekly in Auburn. Some of the artists travel from Jamestown and Brinkworth each week. Classes guided by their very enthusiastic tutor, Gerald Moore, have been held for well over twenty years beginning at Clare TAFE before moving to Auburn. 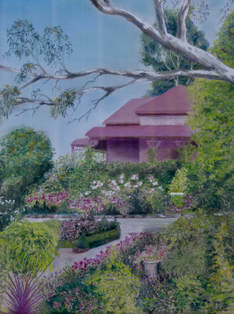 A diverse group of men and women work in a variety of media including pastels, watercolour, oils and acrylics. Gerald is a very patient tutor assisting each individual to reach their potential. For this exhibition the group is showing their 2018 work. 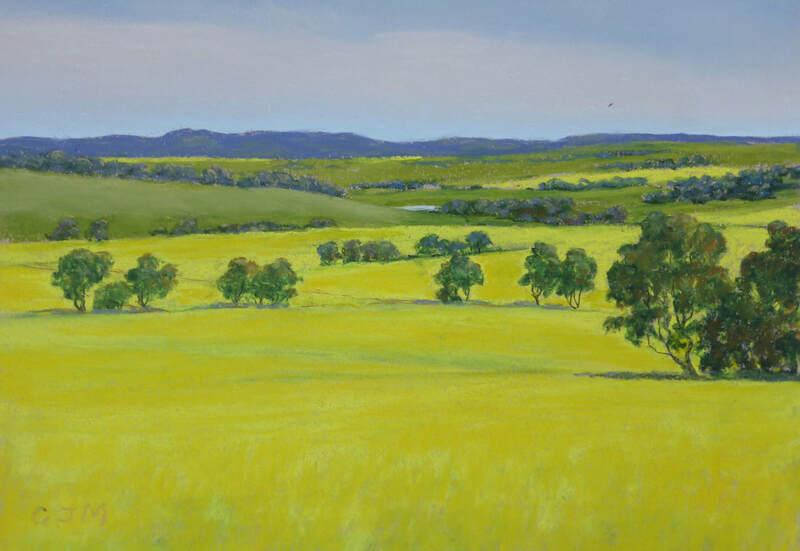 Artists have been inspired by local places and scenes around Auburn and the Clare Valley. U3A is an international, non-profit, self-help, adult-education movement run by volunteers. Its aim is to provide affordable leisure education to over 50s no longer in full-time employment. This age group has a great reservoir of skills, knowledge and experience. By sharing this knowledge free of charge, fees are kept to a minimum. Group leaders may be experts in their field or just committed to steering a group in the learning process. Generally courses are free but may attract a fee for materials or room hire. Courses are usually held during school term and length varies from one session or term to ongoing. The Long Road Home. 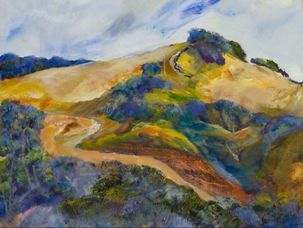 Painting by Julie Eiguren. The Station Master's House, Clare. Pastel by Pat Fidge. 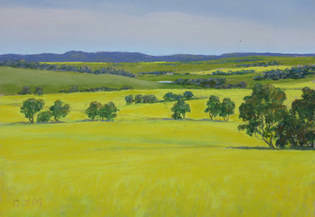 Canola near Auburn Pastel by Gerald Moore.